There is a really intriguing personality test called the 16 Personalities. It’s based partially on the Myers-Brigg system, which in turn is based on Jungian theories. This test will determine some of the core traits in your personality and help you understand why you are great at some things, not so great at other things and also see who you click with and why. So let’s have a look at this test and what it could mean if you’re a ENFP (Campaigner) meeting an INJF (Advocate), or vice versa. Why Take the 16 Personalities Test? It might sound stupid to do a personality test, shouldn’t you know your personality? And how would a simple test be able to explain to you who you are? Well, no test will be able to list all of your strengths and weaknesses, nor will it be perfectly accurate in what it does list. Individual experiences make us individuals. What these kinds of tests can do though, is point out some of our tendencies. This test in particular is free to take and having taken it myself I can attest to it being very accurate when it comes to my personality. I was in hysterics (laughing till I cry that is) reading the results because it pinpointed some of my strengths that are also weaknesses so perfectly it made me laugh. 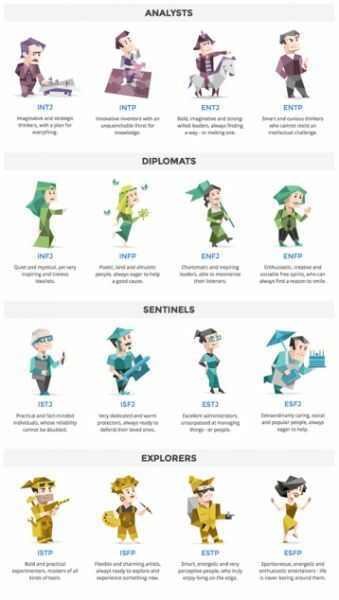 What’s neat about the 16 Personalities is that it measures things in scales – for example I’m almost as much a “feeler” as a “thinker.” That means that even though I fall into one category, I won’t express certain tendencies as much as those who are higher up the scale. What Tests Are Complete Shams? There are other tests that will make you feel that they are accurate, but in reality they are shams. How’s that possible? Well, as mentalists figured out, there are some traits we all have. Most of us are kind and caring, but also egotistical at times. Most of us love to go out and be social, but also spend time alone. When you use these seemingly opposing statements, you cover all eventualities. Now, in a sense, these tests aren’t shams – they tell you how you feel, right?! But they won’t help you, because they won’t point out specific character traits. It’s universal truths about mankind they tell you about instead. Psychologists and employers (so as to be able to best position you within an organization/determine if the position available is a fit) tend to use personality tests the most, but it can also be beneficial for you as you’ll be able to work on some behavioral patterns you dislike, or enhance the ones you like. You can also use it to put into words your strengths and weaknesses when someone asks you, something which you might not have been able to do previously. 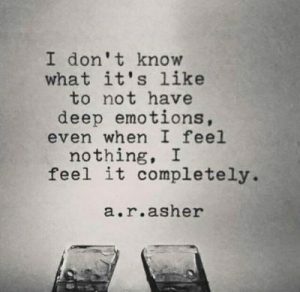 I like it because it enables me to take discover some things I didn’t actually think about doing, that I am doing, as well as put into words things I want to share about my personality that I might not have thought to share. At least not in such a clear manner. If you’ve ever read Gary Chapman’s The Five Love Languages for example, you know that knowing your preferences, as well as your partners, can be a huge advantage. 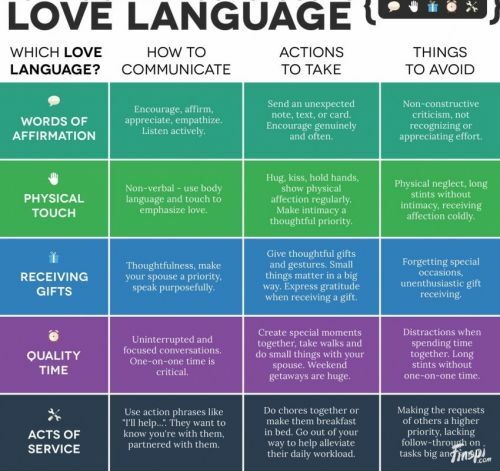 When it comes to the five love languages it’s about knowing what makes us feel loved, which, obvious as it may seem isn’t always all that obvious, neither to ourselves, nor to our partner. And finding out really helps – instead of nagging you feel unfulfilled you simply tell someone why you feel unfulfilled. You don’t even have to tell them yourself – you just have them read the book! There are different personality tests out there and some are more targeted to one aspect than another, such as work, or relationships, so they will all tell you different things. However, they will never nail specific details; nuances of your personality shaped by your unique experiences. Nor will it precisely describe your traits as everything’s on a scale, and usually it won’t break down the scale – you’re either one end or another (or one category or another, if there’s more than one on that scale), even if there’s only one point difference. For example, the 16 Personalities Test talks about overall character traits, but in my case it says I could be successful as a business analyst, or actor – it depends on my interests. I have an inquisitive mind that likes to ponder big problems, but whether that’s figuring out a character in a play, or the workings of a business, it can’t tell me. If I didn’t know it already, I’d need another test to figure out if I have more of an interest in business, or in acting. And if it’s business, I’d need to figure out if it is in HR, marketing, finance, etc. Now to the fun part – using an example to figure out how a test like the 16 Personalities Test can help you with your love life. Personally, I just discovered it and I thought it beneficial simply because I’d have a way to explain to anyone how I act in relationships and thereby help them understand me and what I want to achieve in a relationship and vice versa. It also helped me understand why I fall for certain men. It gives you a roadmap. You can see what the other person wants and what you want, where there’s likely going to be conflict and what you can do to a) give the other person what they need in a relationship and b) understand, or prevent, conflict. If you understand why there is conflict it’s a heck of a lot easier finding ways to overcome it and, if it happens anyway, avoid the pain associated with it. The other person isn’t acting in a particular way to hurt you. They’re acting that way because that’s who they are. Likewise, they need something because that’s simply what they need to feel fulfilled, not because they’re being selfish. You need things too. And using this test you can explain it without nagging. Can you see how an Advocate would allow a Campaigner to be fiercely independent, whilst simultaneously supporting them in their quest? On the other hand, an Executive, who likes control and tradition, might feel terribly neglected by a Campaigner going their own way and a Campaigner might feel hampered by an Executive’s need for things to be a certain way. Finding a partner who doesn’t just click with you romantically, but also supports your emotional journey, as well as your career path is important. Advocates desire a deep, sincere love. They don’t take relationships lightly. They seek authenticity and depth at every turn and will not tolerate any form of dishonesty in their close relationships. They seek a connection that goes beyond the physical; wanting to connect emotionally and spiritually. Campaigners are just as devoted to the people they love. They may be a bit more imaginative and on the look out for eye-opening experiences, than the Advocates, but they are just as dedicated to finding the right partner and building a sustainable relationship. Their enthusiasm and dedication can be overwhelming for those who don’t share the same curiosity and dedication when it comes to love. They need a lot of affection in return for the devotion they show though, as they suffer from a sense of perfectionism and will feel wounded if their attempts to please go unnoticed. If they “fail” a relationship, they tend to take the blame and can take years to recuperate from it. The shared belief in love being a mystical force one should devote oneself to fully – experiencing things beyond the mere physical – means that Advocates and Campaigners are a great fit for the journey of love. And to them, it really is a journey of discovery and connection! The above remains true if the people who took the test agree that they have those personality traits. However, the Campaigner might be a science lover who wants to live in a big city and have no children, whilst the Advocate is an art lover who wants to live in the countryside and have two kids and a dog. As with most things in life, there’s more than meets the eye in most circumstances – use the 16 Personalities Test as a road map – don’t mistake it for the actual territory.